This compact 4-Port USB Hub makes it easy to add more USB 2.0 devices to your project. 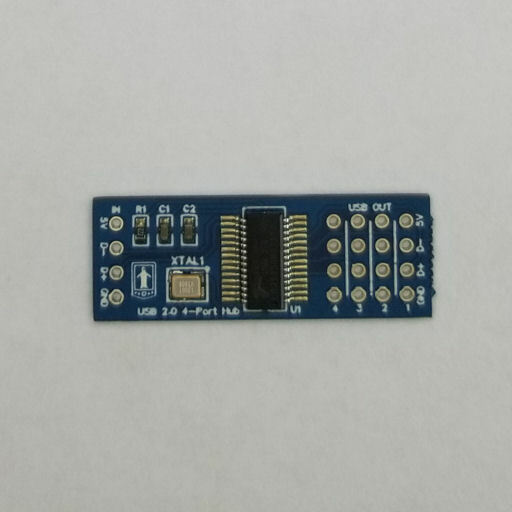 Unlike the 4-Port USB Backplate, this USB hub is not limited to a Raspberry Pi Zero W. It should work with nearly any device that can connect to a USB 2.0 hub. Please note that this follows the FE1.1s standard, which means that mixing different speeds of devices could cause High speed devices to down-clock to Full speed, or possibly result in an incompatibility.